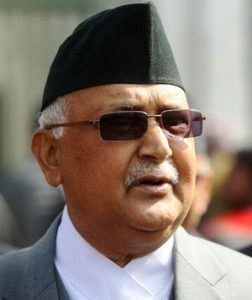 Nepal Foreing Affairs (KATHMANDU, 25 March 2018) – Prime Minister KP Sharma Oli on Sunday warned European Union not to undermine the constitution, sovereignity and social harmony of Nepal. While speaking in the election report prepared by Nepal Election Observation Committee (NEOC) , he urged the EU to revise the report that undermines Nepal’s constitution and achievement made by the six decades long struggle of Nepali people. EU Election Observation Mission (EUEOM) on Tuesday had unveiled the report that asked the Nepal government to remove the reservation quota allocated to Khas Arya. EU has misinterprated the constitution since that was not the reservation quota to Khas Arya instead that was the provision to provide equal representation of all the communities of Nepal in propotion to the population. After the report was made public, Ministry of Foreign Affairs (MoFA) registered strong objection issuing a statement that the report was against the constitution and sovereignity of Nepal. Not only that Minister for Foreign Affairs Pradip Gyawali requested the international community not to play with the sentiment of Nepali people that so far has been unified whatever adverse situation arose. Prime Minister Oli’s warning is an indication of how uncomprising Nepal government could be in the question of social harmony, independence and territorial intregrity. EU has bad track record in Nepal. It has been constantly criticized for instigating the ethnic and religious tension in Nepal.